Ebony’s Hope at the Old County Courthouse. Bring candy and children’s mittens and winter gloves. 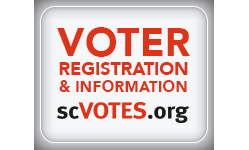 We will be registering voters, encouraging them to vote in upcoming municipal and township elections and encouraging them to vote in upcoming municipal and township elections and encouraging voters sign the Redistricting Petition. 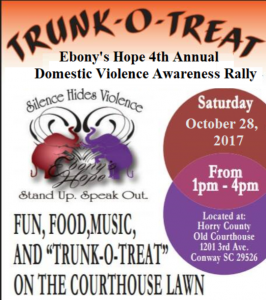 Ebony’s Hope is a non-partisan activity, supported but not sponsored by the Horry County Democratic Party.